Russian Hair Extensions: The Best in The World? Russian hair extensions are naturally straight, fabulously silky and smooth. This has elevated Russian hair to its status as a precious harvestable commodity. The combination of good genetics, climatic conditions and dietary factors ensure that Russian hair is durable, manageable, soft and shiny. When people refer to Russian hair extensions, however, they are not necessarily referring to hair that originates in Russia. The crème de la crème of the global hair extensions network is derived from any country of East Slavic origin; Caucasian hair from the likes of Western Russia, Ukraine and Belarus. Here at Arabella Rose, our hair extensions are sourced from a single donor and are kept cuticle correct. This means that the cuticles are kept facing in the same direction from root to tip, thus preventing them from becoming matted and tangled following a wash and blow dry. The Russian hair that we use is naturally available in fairer hair colours than hair of Indian or Chinese origin, therefore it often doesn’t require aggressive bleaching or lightening. It is slightly heavier per strand than European hair, making it more suited to clients with naturally thicker hair. Although Chinese hair is readily available in large quantities and relatively cheap to buy, it is generally only available in naturally dark brown and black. This ensures that it has to undergo aggressive bleaching and colouring treatments to make it suitable for the fairer colours of western hair, which inevitably strips the hair of its natural elasticity and leaves it opaque and fragile. To masquerade its dull exterior following the bleaching, the Chinese and Indian hair is coated with a silicone layer, which gives it a simulated healthy look. Initially, the hair appears healthy and shiny, yet following the first few washes its shiny exterior is depleted and the hair becomes dull, drab and matted. 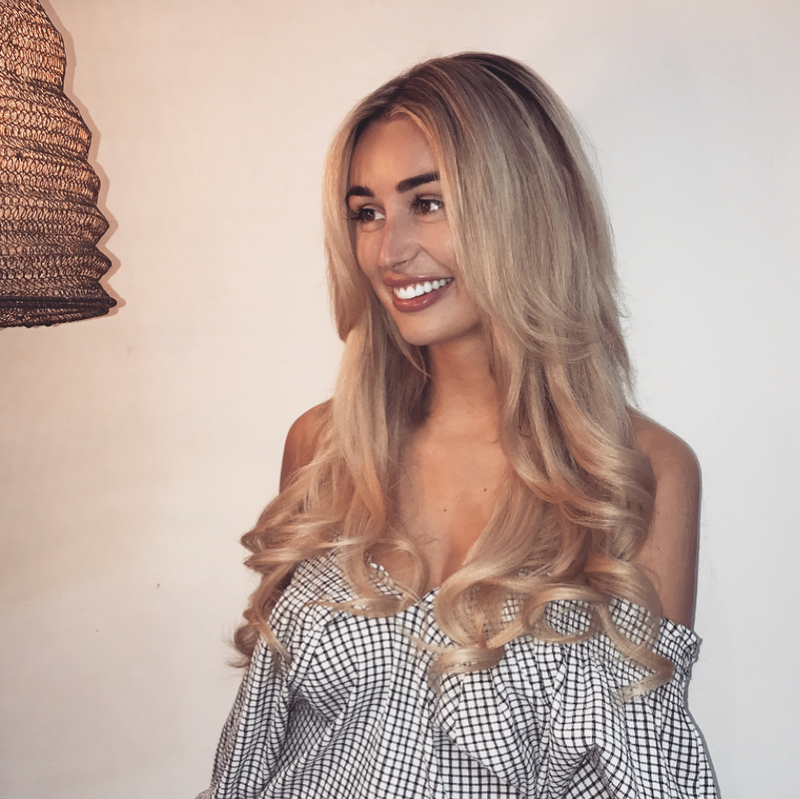 To avoid a dull and drab hair extension experience, be sure to contact us today; here at Arabella Rose we can guarantee you the best hair extensions London has to offer. It’s never too late to get the beautiful hair you have always desired!